Use of applications which are providing video call facility is increasing day by day. In the beginning WhatsApp deprived from WhatsApp video call facility. But now after long time finally WhatsApp has introduced video call facility. But at present this facility is available for only Microsoft Windows and Android’s Beta version users. For windows customers this facility is available in WhatsApp Beta 2.16.260 and for Android operators it is for Beta 2.16.318 (451462). After introducing this facility WhatsApp is going to be strong competitor of Skype. In Facebook Messenger video calling facility is already available. To do a WhatsApp video call after tap on calling button callers have to chose one option among voice or video call. users can also shift on rear camera from front camera with the help of one option. Besides, one can also mute a call. In condition of not hearing a call (missed call) caller receive a notification, taping on it WhatsApp call can be made. It is expected that this feature will soon be available on IOS and for all Android consumers. Recently WhatsApp issued an update for the users of IOS. This update which had already been issued for Android operators, through which consumers will be able to use the facilities available in Snapchat and Instagram on WhatsApp. Instagram is also a company of Facebook and in previous some period Facebook has tried to offer the facilities like in Instagram both in their Messenger and WhatsApp. With update version 2.16.12 IOS users can make emojis (faces for different feelings) on the picture or video. One can also take picture and drawing on it with various brushes. This same thing is include in Instagram & Snapchat from a long time. In addition to this, group Administrators of WhatsApp for IOS will be able to send invitation with link to people to join the group. Group invite link can be made with group info section. WhatsApp has also introduce front facing flash and zoom in facility in video for Android customers. However these facilities are not available in the IOS version of WhatsApp. 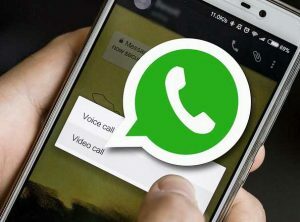 Users can install fresh version of WhatsApp in their phone or already installed version can be update. But for WhatsApp video call they may have to wait for a short time. Those users who don’t want to wait, they have to install a file APK of Beta version. It should be keep in mind that video call feature will only work when both callers will have installed video calling version of WhatsApp on their phones. Otherwise second caller will receive a notification for update.